The likes of Jonathan Ross and Chris Moyles are not receiving salaries above the market rate, according to a review of how the BBC pays its top names. The report, commissioned by the corporation's governing body, the BBC Trust, says in some cases stars get paid less than they would elsewhere. The top 30 to 40 stars across all TV and radio each earn more than £1m a year, the report added. But it said the BBC should "walk away" from stars who are too expensive. The BBC should use its position to drive prices down, the report stated. The review was commissioned after some salary details were leaked to the press, including a three-year deal for Jonathan Ross reportedly worth £18m. Other figures suggested that Jeremy Paxman was paid £940,000 a year and Radio 2's Sir Terry Wogan got £800,000 a year, while Radio 1 breakfast host Chris Moyles took home £630,000. The Trust found that the top 10 earners in TV and radio can take home earn more than £2m. The BBC has a list of its top 50 "named talent", the report stated, whose earnings are rising "significantly faster than the recent 6% annual rate for total talent spending". In 2006/7, the BBC made an investment of about £242m in on screen and on air talent which represented around 5.6% of its total licence fee expenditure. The vast majority of its 200,000 talent contract payments were for less than £1000. But the trust's report found that there was "no evidence that the BBC is paying more than the market price" for its top names. However, it does note that the salaries paid "to a small number of top talent working in network radio are much higher than those offered on commercial radio". The BBC said this was because certain radio personalities could expect to find work for a higher salary in television, film or music if they were not contracted by the BBC. The report also suggests that some news journalists may be paid above the market rate, although it acknowledges that there is no direct competition as Sky or ITN "might have very little interest in those covering less popular areas of the news agenda". Speaking ahead of the report's publication, the trust's chairman Sir Michael Lyons said the situation was "not as bad as some people thought it might be". "The BBC doesn't pay more than others and indeed there has been a firmer grip on talent costs in recent years. "In some cases we pay less than others." But he added: "This is not a green light for the BBC to pay whatever it wants", adding that the corporation should do more to develop new talent. Sir Michael refused to discuss individual cases. 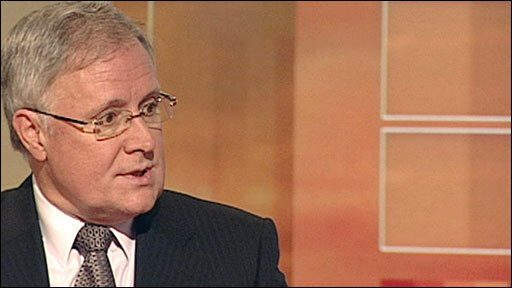 "It would put the BBC in a very difficult position in relation to retaining staff who could work elsewhere," he said. But he warned the BBC that there was still "more to be done". "Because the BBC is paid for by the licence fee, it doesn't have to follow the market, can afford to be distinctive, has got the scope to bring on new talent and must walk away from those which are too expensive." The BBC has welcomed the report and says it has already put some of the trust's recommendations into practice. A number of broadcasters and independent production companies were consulted as part of the review including ITV, Channel 4, Five, BSkyB, and Endemol. Spokesmen for ITV and Channel 4 said that they were unlikely to comment on the report. Shadow culture secretary Jeremy Hunt criticised the review saying: "This report has totally missed the point." 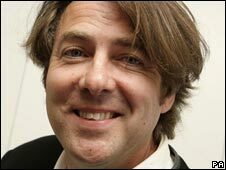 "Jonathan Ross may well be worth £18 million on the open market, the question is whether the BBC should be paying for this with licence fee payers' money when commercial broadcasters would be more than willing to pay it at no cost to the public." Liberal Democrat culture, media and sport spokesman Don Foster said: "While some people will question whether top personalities are worth the high salaries they receive, no-one wants to see a BBC devoid of household names. "If we want the BBC to keep up with its competitors, then we have to accept that top talent comes with an expensive price tag." The Department for Culture, Media and Sport declined to comment, saying it was a matter for the BBC. The pay review was carried out by economists Oliver & Ohlbaum Associates.